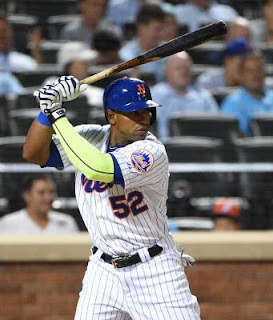 At the 2015 trade deadline, the Mets GM Sandy Alderson landed one of the best late season acquisitions the Mets ever landed in Yoenis Cespedes. In 1969 it was Donn Clendenon that helped a pitching rich team with little offense. Clendenon went on to win the World Series MVP Award. In 2015 Cespedes would take charge put the Mets offense on his back taking them through the pennant drive. Yoenis Cespedes arrived with the Mets on August 1st playing centerfield & batting in the third position. That night he drew a walk going 0-3 in a 3-2 win over the Washington Nats, as the Mets got themselves within one game of first place. The next night they would beat Washington to tie for the NL East first place spot. 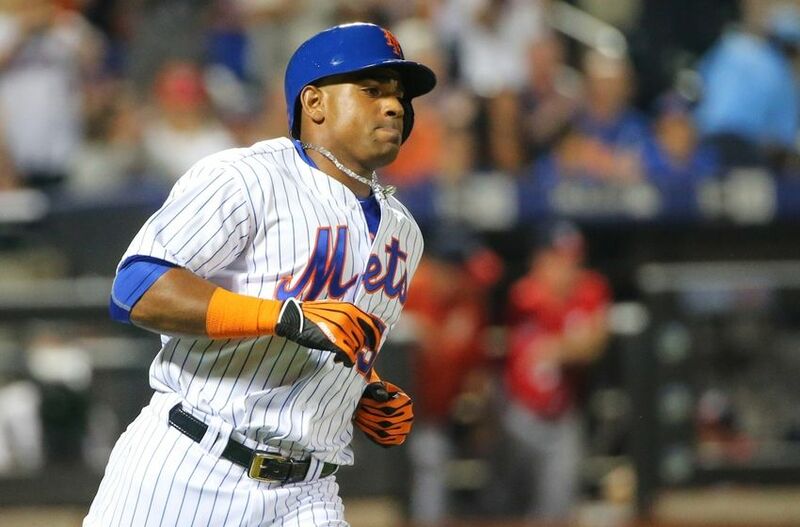 On August 3rd, Cespedes collected three hits, all doubles while riving in four runs in the Mets 1-1 romp in Miami. On August 12th, he hit his first Mets HR, a solo shot coming in a 3-0 Mets win against the Colorado Rockies. He would drive in runs in three straight games, hitting another HR two days later. On August 21st, Cespedes had one of his best nights & put in one of the best Mets offensive games ever. 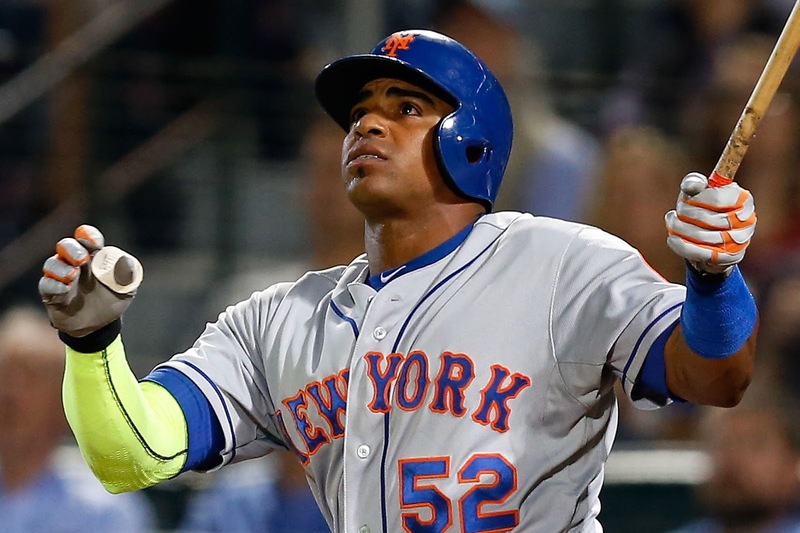 Cespedes blasted three HRs, while collecting five hits & driving in seven runs in a 14-9 Mets win in Colorado. In the 2nd inning he blasted a grand slam HR off Jon Gray to start out his big night. In Philadelphia on August 24th & 25th he hit HRs in back to back games, leading the Mets to wins in both games. He would homer again in the fourth game of that series driving in two more runs. On his first Mets road trip Cespedes hit six HRs driving in 15 runs while collecting 14 hits, keeping his average just below .300. As the Mets entered September they had a six game lead over the Nats & were starting to run away with he division. The Mets pitching was solid all year but now the offens tok off led by Cespedes. 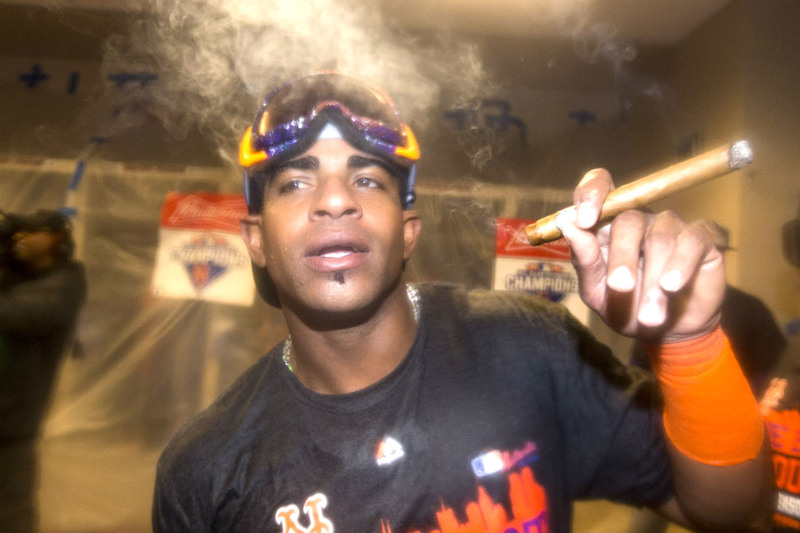 In the firsttwo weeks of the month he would go on aa tear like almost no Mets player ever saw, Cespedes was the hottest hitter in the league at just he right time. From September 1st to the 14th he nine HRs with 21hits four doubles & two triples, while driving in 19 runs scoring 16 more runs. In that stretch the Mets had an eight game winning streak & won 10 of 13 games, on their way to the division title. On September 8th, the Mets were down 7-1 to the Nats when they had an incredible six run 7th inning tying up the game. In that inning Cespedes cleared the bases with a three run double. The Mets went on to an 8-7 victory. The next night his two run HR in the 8th inning broke a 2-2 tie leading to a 5-3 Mets win. On September 11th his three run night in Atlanta, led to the Mets 5-1 win over the Braves. The next night he homered again & drove in two more runs in the 6-4 Mets win. From there he cooled off driving in just two more runs the rest of the way. In his 57 games with the Mets, he had 66 hits with 17 HRs 14 doubles four triples 44 RBIs & 39 runs scored. He batted .287 with a .337 on base% & a .604 slugging %. His presence was known on the field defensively as well, in 54 games he posted four assists posting a .985 fielding %. Soon enough the rest of the league knew better than trying to run on Cespedes. 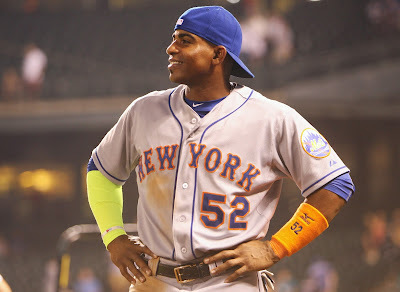 In the NLDS against the Los Angeles Dodgers, he homered in the Mets Game #2 loss & then again in the Game #3 Mets 13-7 win. That night Cespedes had three hits & drove in three runs as well. In that series he had five hits t go along with the two four RBIs. Overall in the NLDS he batted .250 (5-20) with 2 HRs & 4 RBIs. In the NLCS Game #3 at Wrigley Field, Cespedes had a big three hit night, starting out with a 1st inning RBI double. He later added an RBI single, helping Jacob deGrom & the Mets to a 5-2 win. In the NLCS he batted .286 going 4-14 with three RBIs. In the World Series he would struggle going just 3-20 batting .150.